Panic had struck Maharashtra in 2017 when pesticide poisoning had claimed lives of 21 farmers in Yavatmal district. What step did the state take? It banned Monocrotophos, the deadly pesticide, for 60 days. 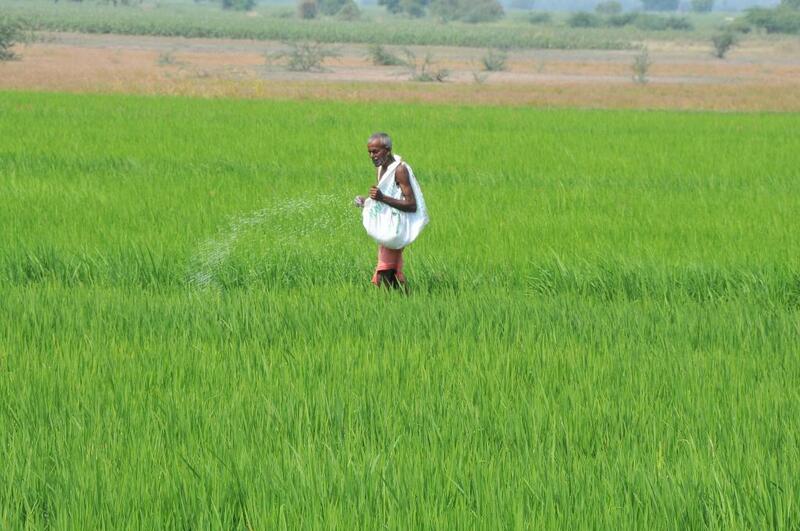 But, on Tuesday (March 6), when the agriculture ministry told the Lok Sabha that pesticides have killed 272 farmers in the last four years in Maharashtra, no promises of reforms were made. Two of the pesticides blamed for these deaths—monocrotophos and oxydemetonmethyl—are classified as Class I pesticides by the World Health Organization (WHO). While a small amount of these can be lethal, data available with the Directorate of Plant Protection, Quarantine and Storage showed that Class 1 insecticides form 30 per cent of the insecticides used in India. This consistent killer is helping multinational giants and Indian companies reap profits. In doing so, they are already flouting international norms. Punjab recently set an example by banning Phosphamidion, Methomyl, Phorate, Triazophos and Monocrotophos, which are considered class I pesticides by the World Health Organization. Many foreign countries, too, have banned these deadly pesticides: Phosphamidon is banned in 49 countries, Phorate in 37, Triazophos in 40 and Monocrotophos is banned in 60 countries. It is time India soon followed suit. Farmers’ only sources of any information on use or misuse of pesticides are dealers and manufacturers. Instead of having a single information platform on use of pesticides, conflicting instructions in disparate sources add to farmers’ trouble. . The lack of consensus between government organisations leaves farmers with little or no information on which pesticide to use and how. For example, when the Central Insecticides Board and Registration Committee says Acephate 75% SP is approved only for cotton, the National Institute of Plant Health Management recommends its use for midges in chilli. When it comes to dealers, a study conducted by Pesticide Action Network (PAN) India showed that they are unaware (or feigned ignorance) of the approved uses and waiting periods of various pesticides. Despite holding a diploma in Agricultural Extension Services for Input Dealers (DAESI), one of the dealers continued giving wrong advice to farmers. Moreover, none of the interviewed farmers were trained or advised on pesticide use by the government. Manufacturers, too, don’t put approved uses, doses and waiting time on pesticide bottles or packages. The packets say refer to the leaflet given with the packet, but the farmers don’t get any when they purchase the pesticides. By not acting responsibly and being non-committal when it comes to banning Class I pesticides, India is flouting international norms. As per the International Code of Conduct on Pesticide Management, jointly released by the Food and Agriculture Organization and WHO, in 2014, “pesticides whose handling and application require the use of personal protective equipment that is uncomfortable, expensive or not readily available should be avoided, especially in the case of small-scale users and farm workers in hot climates”. Ministers often try to hide behind the report submitted by the Verma committee, which had reviewed 66 pesticides banned in several countries, but used in India. Based on its recommendations, the Agriculture ministry has proposed to ban three Class I pesticides from 2018 and another four from 2021. Neither monocrotophos nor oxyde metonmethyl figure in the list of pesticides scheduled to be banned.